And I'm not saying you couldn't pull it off, but if you were throwing some fine holiday soiree, it would be a little weird to put giraffe and elephant-shaped crackers out to enjoy with wine and fruit, for example. 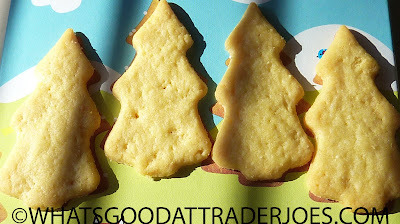 However, if said crackers were shaped like evergreen trees, nobody would bat an eyelid. And if there was any doubt that these trees are alluding to Christmas trees in particular, there's a spiel on the packaging that starts with "O Tannenbaum." Furthermore, this product flaunts a particularly wintry theme on its packaging, including a fox with a scarf and a rabbit wearing gloves. There's evidence of snow on the ground, and even the songbirds are bundled up with earmuffs and knit caps. 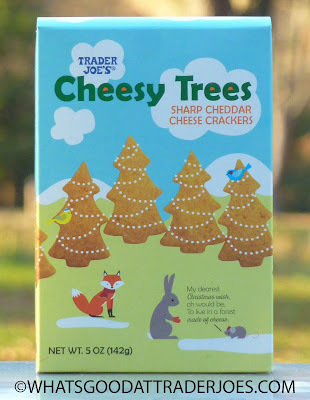 I'm not sure why cheese-flavored tree crackers are particularly seasonal, wintry, or Christmassy, but it works somehow. And indeed they do pair well with a nice Cab. They boast a strong, sharp cheddar flavor, but their texture is relatively thin and delicate. They're buttery to the touch—completely covered in real cheese. They necessitate napkins. And as you can see in the photo above, the depiction of the crackers on the box is pretty close to their actual size. Unfortunately, about half of our trees were broken at the time of consumption, which might be a bummer if we were concerned with presentation or were attempting to impress guests. But luckily for us, it was just Sonia and I gobbling up the crackers by ourselves after a nice hike with our poorly-behaved pets. After wolfing down a good portion of the bag, a bright lightbulb appeared over Sonia's head. "What is it!?" I exclaimed. She scrambled over to the pantry and parted a row of chicken noodle and lentil and produced a lone can of Progresso Tomato Soup. She held it high above her head and The Hallelujah Chorus mysteriously poured out of each corner of the room as a brilliant, pure white light filled our house, its source unknown. She proceeded to heat the soup and served it up in two bowls, which were swimming with tree-halves just moments later. And it was heavenly. Sonia was enthusiastic about the trees from her first bite to her last. She gives them four and a half Christmas stars. I liked them just fine, although I don't think I'd snack on them just by themselves on a regular basis...but I'd never discourage Sonia from keeping some on hand, just in case I get a hankering for a bowl of tomato soup again. Three and a half Christmas stars from me. Stuffing: Both a noun and a verb. Particularly this time of year. Discuss. I know, I know....this particular review of Trader Joe's Cornbread Stuffing Mix and Trader Joe's Kettle Cooked Turkey Gravy woulda been a little more timely and helpful last week, particularly before that big ol' Turkey Day holiday last week. Sorry, but we kinda busy...doing nothing. Nada. It was WONDERFUL. I love Thanksgiving and all, and usually it's a big get-together with dozens of relatives and a verifiable smorgasmicbord of all sorts of different dishes and desserts and everything...but not this year. Kept it lowkey. Watched the Macy's parade and some of the dog show on TV at Sandy's mom's for breakfast, came home, took a rest, and made Thanksgiving dinner for just me and my girls before watching Elf as is family tradition. And since for those family Thanksgiving dinners I was really never really asked to bring anything more than salt and pepper, or to chip in a little bit for the turkey (which my dad always seemed to do for me), Sandy and I really didn't have great top secret family recipes to make or do, so we kept it simple, hence our purchase of those two Thanksgiving staples. Or gravy. In our case, TJ's Kettle Cooked Turkey Gravy. Wish I had much to say about this gravy, as I grew up a big gravy fan (both literally and figuratively) and I've yet to find a commercial gravy that approximates my mom's (even though I know hers is just jarred mixed with pan drippings - there's something else about it I can't figure out). 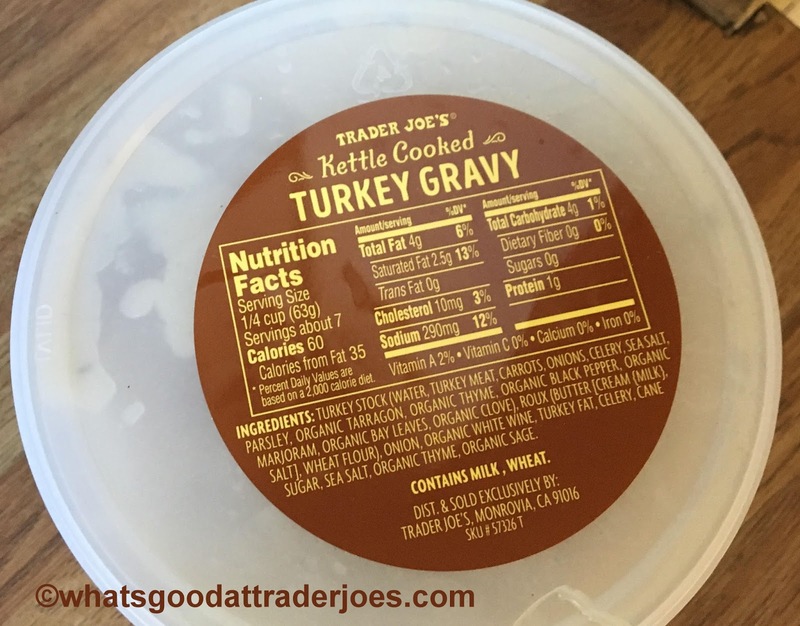 TJ's gravy is good, not great. I mean, I coated my turkey with it and piled up a stuffing/mashed potato mountain just to make a huge gravy crater in the middle, so I can't say I disliked it. Maybe the fact that it's a little thicker and gloopier than what I'm accustomed to is why. Certainly tasted like decent turkey gravy, but nothing really stood out. It's probably open to some customization and doctoring, which I probably could have done but eh well. 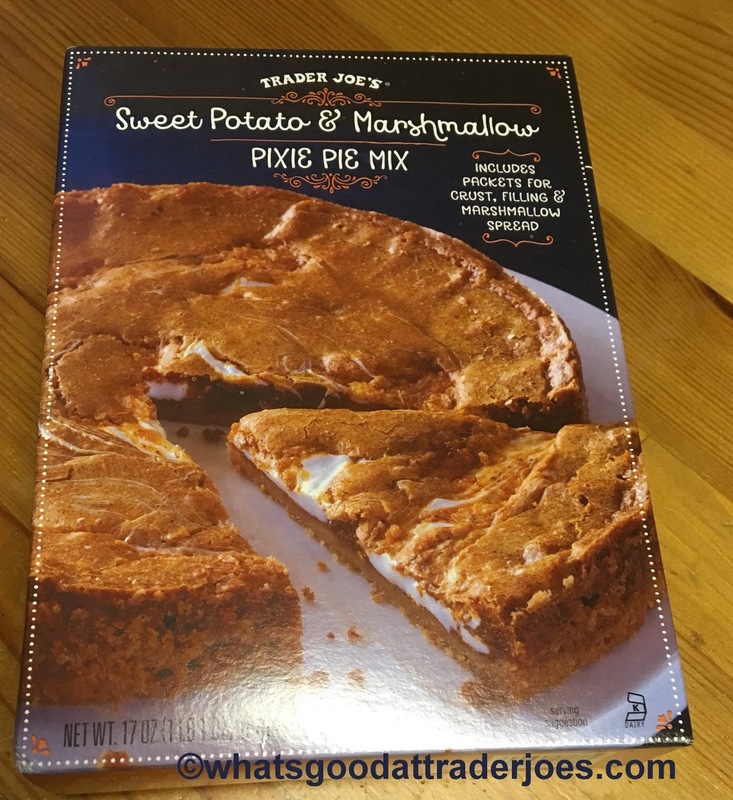 So, in case you have to bring something easy to another holiday feast, or just want a simple classic taste for dinner, you can do a lot worse than this combo this time of year. 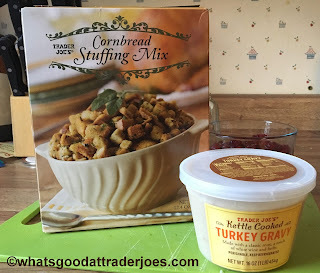 We're higher on the stuffing than the gravy, but together they make a good team. We're thankful for the blessing of good, warm food and family, and hope to continue to enjoy that this holiday season. We hope for that for you as well. This year, I'm thankful we found something pseudo-appropriate to put up the day before Thanksgiving. 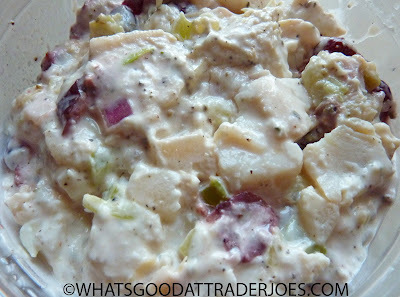 I mean, this tub of Turkish delight—er, excuse me—turkey-ish delight is a great little mini Thanksgiving meal all its own. It's kinda like a Gobbler Wrap without the wrap. My wife, whom I'm very thankful for, loved it even more than I did. She holds this snacky salad on par with the classic Wine Country Chicken Salad. I wouldn't go quite that far. But it's close. Chunks of apple and cranberry lend both tartness and sweetness to the blend. There are huge cubes of high-quality turkey and generous amounts of mayo here, too—and just enough sage to make it interesting. It's perfect for slathering on crackers, making sandwiches, or eating straight out of the tub. At least around these parts, the only three meats you'll find with regularity are beef, pork, and chicken, so I'm always grateful to have another choice on hand. I wish turkey were more common year round. I mean, sure, there are turkey hoagies here and there. But I'd choose turkey burgers more often if I could. 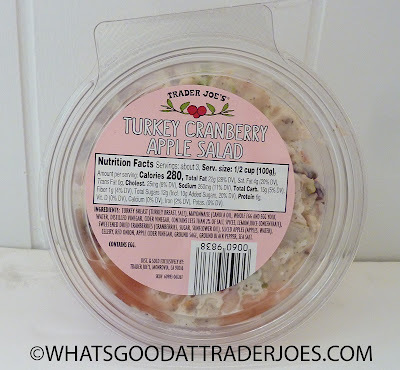 Likewise, why isn't turkey salad just as common as chicken salad or tuna salad? Are we scared we'll run out of turkeys come November? No matter. 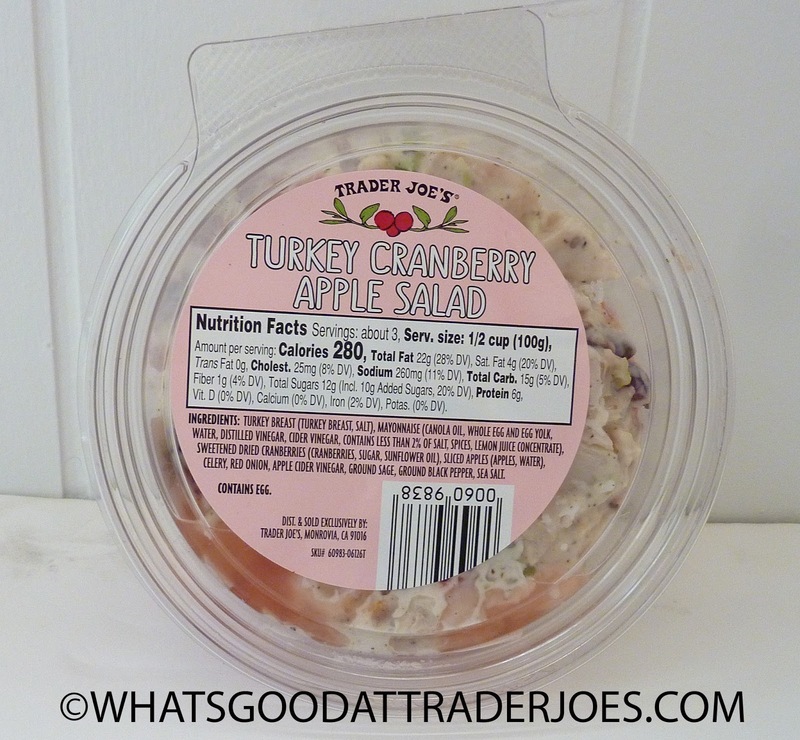 I'll enjoy this turkey salad while it's around. Like many foods this time of year, it's a little on the fattening side...but let's all pretend it's not since it's the holidays...and that will be our little secret. Likely many of you are traveling today, pigging out with family tomorrow, and doing some Christmas shopping over the Black Friday weekend, so I'm very thankful for whatever readership we do get right now. Hope you all have safe and happy Thanksgivings! And I'm thankful that you enjoy reading our blog. Four and a half stars from Sonia. Four from me. It's not just Thanksgiving this week for the Western PA half of the WGaTJ team. Nope, Sandy and I (Russ) are also celebrating another annual notch on the marital belt. Eight years now, we've officially been a team...and been through a lot together. Mostly good, occasionally tough. Not gonna get too boring or sappy or whatever - believe me, I can, just ask my wife - but there's no one else I'd rather keep on spending my time with. Especially when it's Netflix and cereal night. Maybe it sounds dull and unexciting - and maybe it is - but it's the best. Get the kids snuggled in bed after dinner, then retreat to our third floor for a night of cozy couch time bingewatching Dr Who or Stranger Things or whatever movie or show. And even better when accompanied with a bowl of some super sugary cereal we'd never let those kids touch. Those weirdos love the healthy stuff, like their favorite purple cereal. We've housed a box of Cinnamon Toast Crunch in less time than it takes a Dalek to say "Exterminate!" 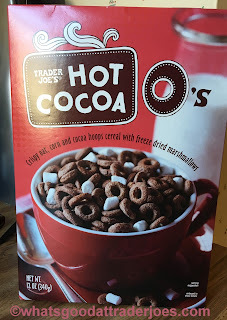 So, obviously, Trader Joe's Hot Cocoa O's debuting right around time of said anniversary and new Stranger Things episodes...absolutely the cereal became a must buy. Man oh man...I don't care that I'm 35, I get excited about this kinda stuff. Look! Chocolate cereal with marshmallows in it! 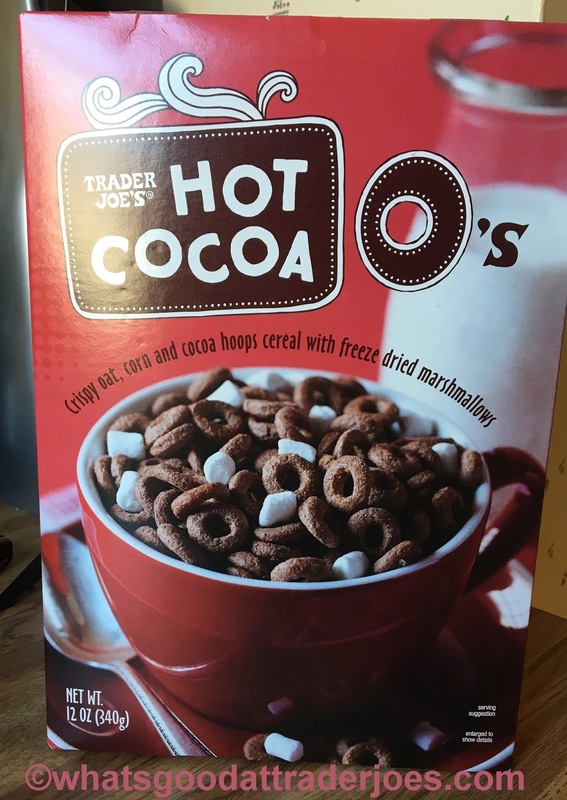 Granted, this isn't exactly a cereal innovation much unlike anything the world has ever seen...but call it Hot Cocoa O's just makes it sound even more enticing. Cereal...that tastes like hot chocolate? Yes please! Even if the box refers to the tidbits as being "hoops" which mildly annoys me for whatever reason. For as much seeming promise as these circlo-cocoa crunchies hold, there's something perhaps slightly amiss. It's not the crunch, as the oat/corn hybrid holds up fairly well even after getting drenched in milk. And it's not exactly the taste either - there's nothing too terribly wrong, but the problem that plagued my bowl is much like what can derail a cup of actual hot chocolate. If not chocolately enough, hot cocoa still offers some comfort and tastes fine and all, but it can be better. Much better. Kinda the same deal here. There's just not quite enough chocolate to really satisfy my guilty pleasure-seeking sweet tooth. And of course, if the cereal isn't quite that way, neither is the leftover milk. That's almost the whole point of adding milk to cereal - all that leftover milk soaking up all the sugar and flavor for one last little treat - nah. Not here as much. Could be that Sandy and I primarily use almond milk, so cow or other milks may have a different experience. Seems to me that Cocoa Puffs still reign supreme in the choco-cereal kingdom. But for $2.99 for the box, the TJ's brand is far from failure. I ate some dry, and it strikes me as a good snack to enjoy that way. You could also probably make a decent Rice Krispy Treat-type deal with them. But when it comes down to it, I wanted to feel compelled to binge on these, and they just don't do it for me. Not in that way. But hey...got my beautiful bride by my side, still a fair amount of Stranger Things to watch, and some half-decent cereal to munch on too. 'Tis a good week to be thankful, indeed. Sonia's first words after taking a sip of this beverage: "WOW! 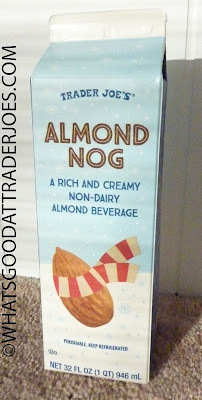 I definitely like this better than regular egg nog." If it's not obvious already, I'll go ahead and tell you she's not a true lover of traditional egg nog, while I most definitely am. My first words after trying this drink: "Hmm. Yeah. I definitely don't like this as much as normal egg nog." 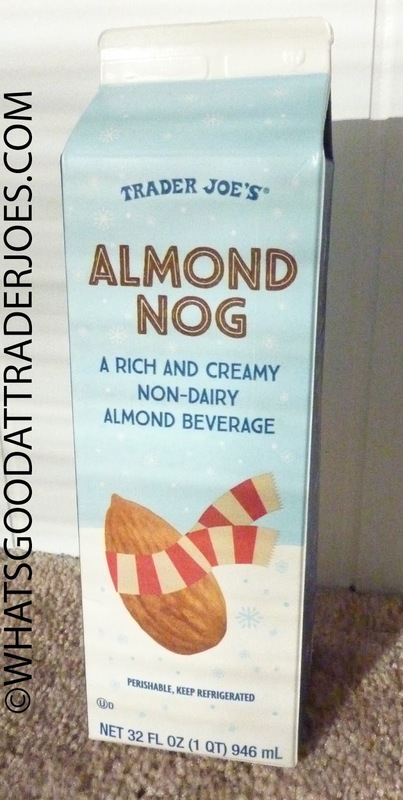 They should have called this Trader Joe's *Almost* Nog. Only two letters' difference. Surprisingly though, I didn't hate it—but it's absolutely within the realm of possibility that other egg nog connoisseurs won't even tolerate this almond-based nogoff. Now I'm fine with almond milk in place of dairy. Flavored almond milk? Sometimes it works in my opinion, and sometimes it doesn't. Sonia and I were similarly divided when it came to last year's pumpkin spice almond beverage, with the wife giving it a solid thumbs up, and me, not so much. I'm not nearly as enthused about egg nog-flavored things as I am about egg nog itself. Even egg nog ice cream pales in comparison to the real deal in my book. Here, we have not a true alternative to egg nog, but a beverage that is merely egg nog-flavored. I mean, for vegans, the lactose-intolerant, and people with egg allergies, this must be a dream come true. For the rest of us...meh. The texture is far too thin to compare with traditional nog. If you look at the picture, you'll see the myriad tiny bubbles that result when you "shake well" as per the instructions on the carton. It's just a tad thicker than water. Flavor-wise, it's distinctly egg noggish, but with a greater level of nuttiness, and less of...pretty much everything else. I think they could have stepped up the spice game a notch here, which would have not only offered a bolder flavor, but perhaps masked what I perceive to be other slight weaknesses in the taste department. Of course, if one were so inclined, he could add his own spices...not to mention other additives of the "spirited" variety that might help cover up said shortcomings of this seasonal potation. And to those of you who think we're jumping the Christmas season gun by reviewing this overtly Yuletidey product before Thanksgiving, I'll just say this: I associate egg nog not only with Christmas, but also with Thanksgiving. Sure, the whole Christmas thing encroaches on earlier months more and more each year it seems. I mean, we did a bit of Black Friday shopping this year a full two weeks before Black Friday, because now there are "pre-Black Friday sales," which promise great deals with only a fraction of the physical confrontations and full-contact shopping experience. But I digress. What I'm trying to say is that we're trying to give you our opinions now so that you'll be informed before you make those holiday TJ's runs. 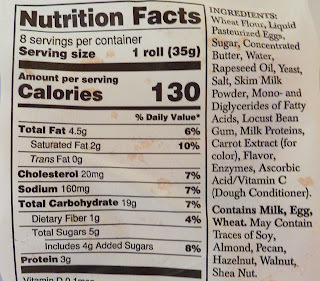 Just for kicks and giggles, I compared the nutrition info of this product to a carton of actual egg nog. Yeah. Ordinary nog has nearly four times the calories and six times the fat. So...there's that to consider. 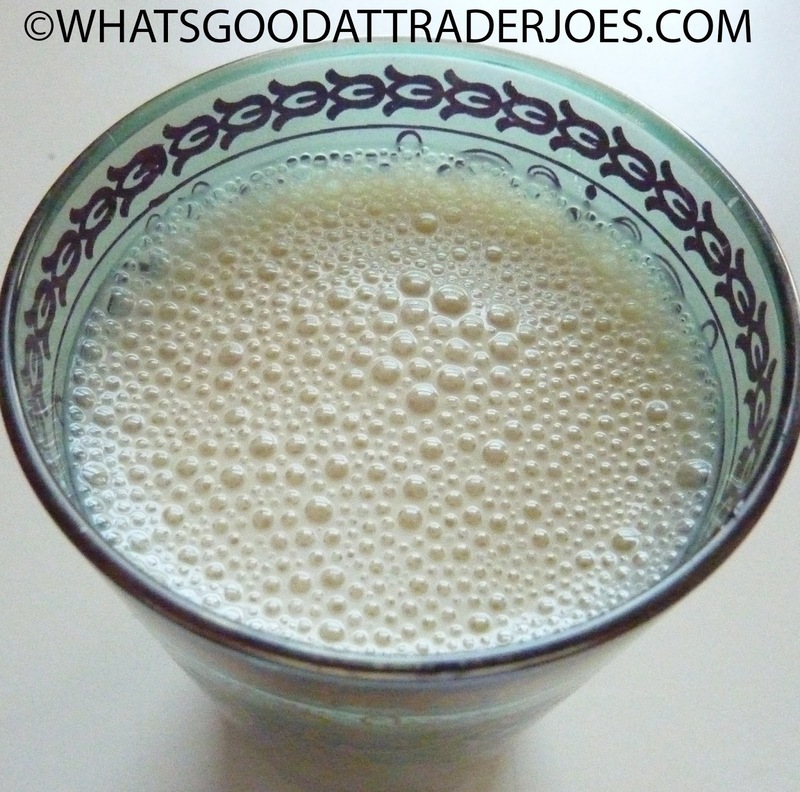 Sonia gives this almond nog four stars. I'm torn between two and a half and three—but I'll go with three for the benefit of those who cannot or will not enjoy actual egg nog this holiday season. It's absolutely worth a try if you're not into milk, eggs, the thick texture of traditional nog, excessive fat and calories, or the joys of seasonal obesity. If you "Search This Blog" for the word "cookies," you'll get 10 pages of results. Granted, those results include items like cookie butter, which aren't actual cookies per se—but I still counted in the ballpark of FIFTY types of actual Trader Joe's brand cookies reviewed on this blog. And for those of you who know your Joe, you'll know that we're barely keeping pace with the new cookie varieties as TJ's rolls them out. That's especially true this time of year. In case you haven't noticed, there's an international conspiracy to make us Americans fatter during the holiday season. Even the Italians are in on the action. 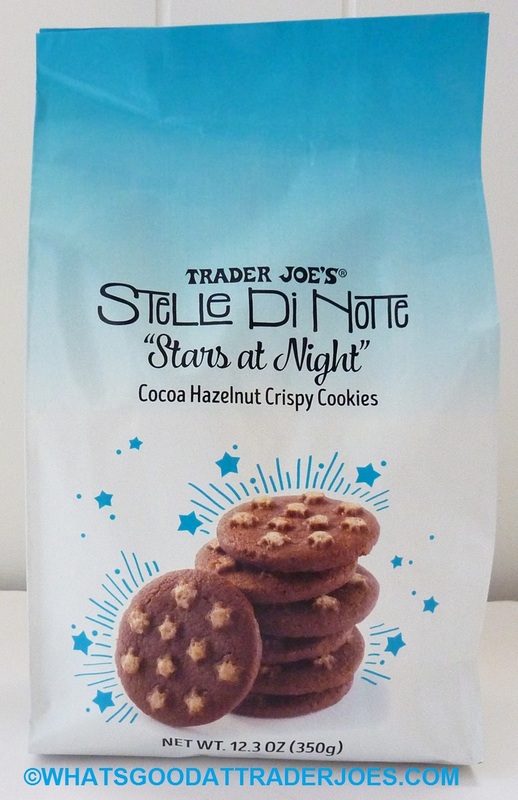 So they exported these Stelle Di Notte (stars at night) cookies just in time for the season of overeating. They have a nice cocoa-ish flavor. I thought maybe the stars would function as marshmallows "floating" in the cocoa, but they're basically just there for decoration. These cookies are crispy, light, and brittle. There's a dryness about them that just begs for a complimentary beverage. I've had them with both cold milk and hot coffee, and they go great with either. 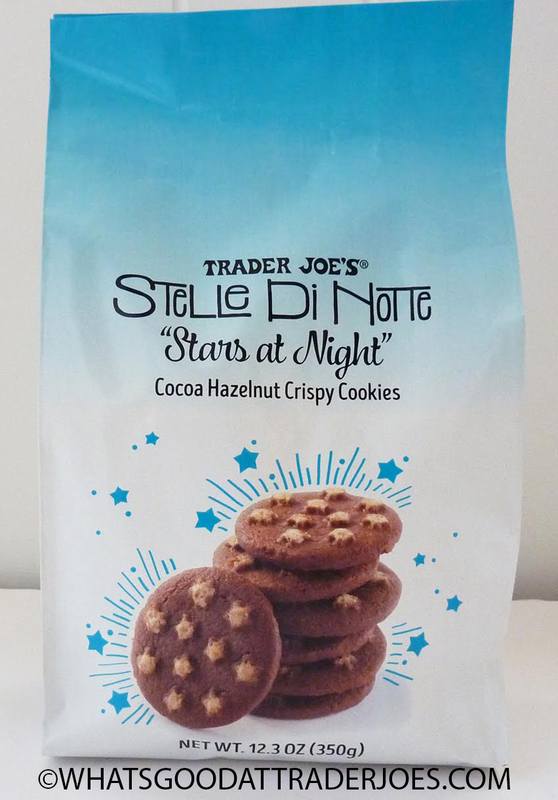 There's absolutely nothing wrong with these chocolatey treats, but there's not much to set them far ahead of the many, many other cookie offerings we've tried from Trader Joe's, either. If you like cocoa-flavored crispy cookies, check these out. They seem somewhat festive, as there's a nice wintry theme going on here, although as far as I can tell, it's not particularly attached to any one religious holiday. 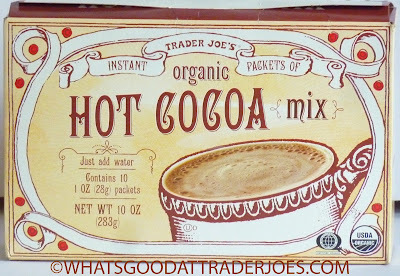 If I worked for TJ's marketing department, I might have named them "Trader Joe's Jovial Non-Denominational Winter Cocoa Dunkers"
...which is probably one of the many reasons why I'll never work for Trader Joe's product marketing department. 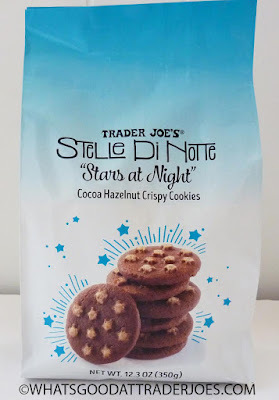 Sonia and I give these cookies three and a half "stelle" a piece. According to my lovely wife, with whom I am about to celebrate eight years of mostly happy-occasionally stubborn marriage, there are some very questionable Google results out there if you were to search for the words "pixie pie" on the interwebs. 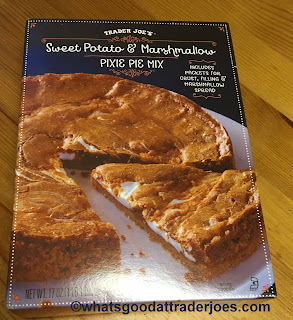 I'm just gonna take her word for it, and perhaps try to lessen anyone's chance of coming across any, by writing this review here of Trader Joe's Sweet Potato & Marshmallow Pixie Pie Mix. Mmm...pixie pie...I never heard of it. What is it? Well, can't find out without doing that web search. Oh well. Anyways, we'll go with the box description, which says something to the effect of "magical treat" and "little pick me up" and all that jazz. Sounds good. We'll go with that. Unlike our last baking expedition, I didn't help this time around, but from what I hear, it's simple enough to make. Inside the box are three mix packets: one for crust, one for potato filling, one for marshmallow fluff, Good lord, there's a lot of marshmallow, almost like a cross between the Stay Puft Marshmallow Man and a crime scene. All you need to add is a little butter and "maybe" a little water and an egg, follow the simple instructions, and voila, in about half an hour's time....it's pixie pie time! It's a really tasty dessert. Boasting a classic graham cracker crust, the shell gets rigid and buttery and solid actually surprisingly well. All the better to hold all the gooey innards, I'd say. The sweet potatoes get warm and smooshy and offer so, so much comfort vibe with some brown sugary goodness, it's almost off the charts. And those marshmallows...I swear. Sandy said she put in less than half the packet. I almost can't believe that, because of how well the fluff covered and caramelized on top, while switching up layers and selfblending with the potato portion. All that gives up a sugary binge that verges on being overwhelming before melding well with the other tastes of the pie. Altogether, the pie tastes something like a blondie, and has a not-quite-brownie, not-quite-usual-pie feel. It might be worth a shot to throw in some chopped pecans to approximate a pecan pie, if that's your thing. Actually, if there was some way to Frankenstein together this pie with those maple pecan bites from a few weeks back, there might be the most perfect dessert ever! Even as is, the pie is pretty rich and fairly decadent - take too big a piece, you'll want a nap. Needless to say, the pie is a total, complete, ineffable calorie bomb. That's our biggest thing. Like, eat a slice, and it's salad for the next three days. Sandy, the more healthy bean-counter out of us, has no other complaints than that, and in act of solidarity, me neither. Darn good dessert, and for only $2.99! Nice! Matching fours. It's not unusual for me to devour the majority of a delicious Trader Joe's product before Sonia even realizes it's in the house. But it's very unusual for the reverse to happen. 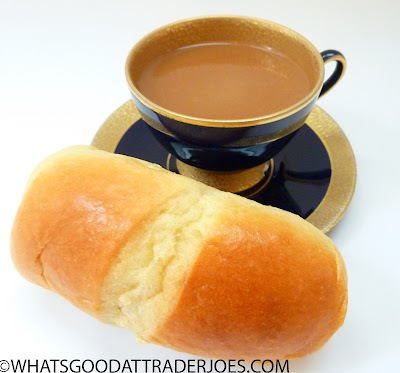 Yet happen it did with this pain au lait. As my wife will attest, those French sure know their breads: baguettes, brioche, croissants, and of course, French toast—which might not actually be French—but we give them the credit anyway because it sounds lame to call it "eggy bread." Add pain au lait to that list of delicious French breads. And in this case, the "pain" is indeed a product of France, imported across the pond for our enjoyment. Thanks, Trader Jacques—er, Trader Joe. They're chock full o' milk, sugar, butter, and eggs. That's why they're so delicious. And fattening. They taste slightly sweeter than traditional breads, but not to the extreme that they're doughnut-esque or exclusively dessert-ish. Despite their sweetness and butteriness, they're surprisingly soft, airy, and addictive. They remind me of one of the complimentary breads they serve at a particular chain restaurant, but I can't remember for certain which one: was it Outback? Cheesecake Factory? I haven't been to any of those places lately so I can't put my finger on it—but it was a bread so tasty, that I'd deliberately eat my fill so that when my meal came, I'd take a few bites and then pack the rest up to take home, thus stretching one meal into at least two. It definitely wasn't authentic pain au lait, but it was reminiscent of this offering in terms of sweetness and softness. 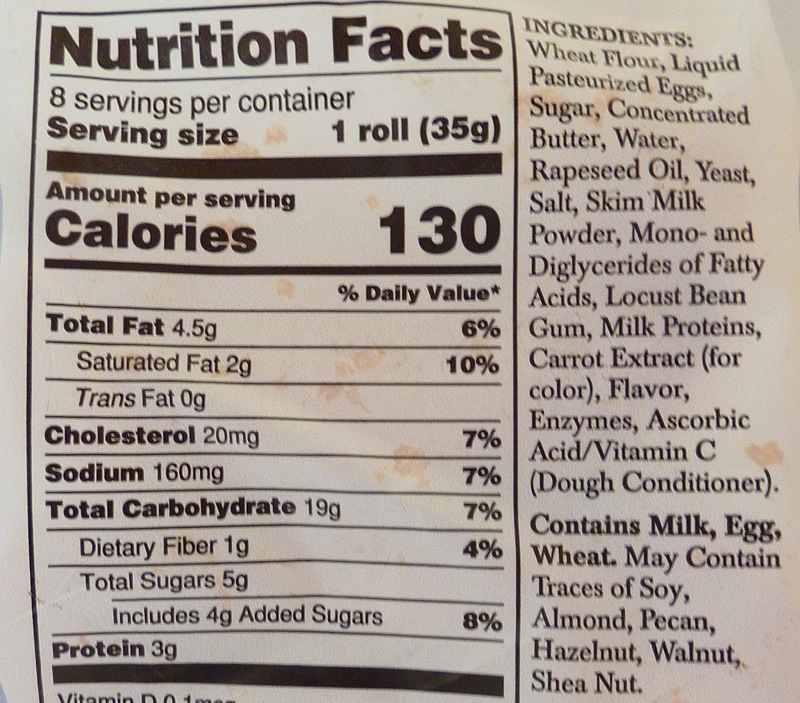 Serving sizes here are relatively small, in case you're worried about portion control. Each piece is perfect for dunking in coffee, or your hot beverage of choice. 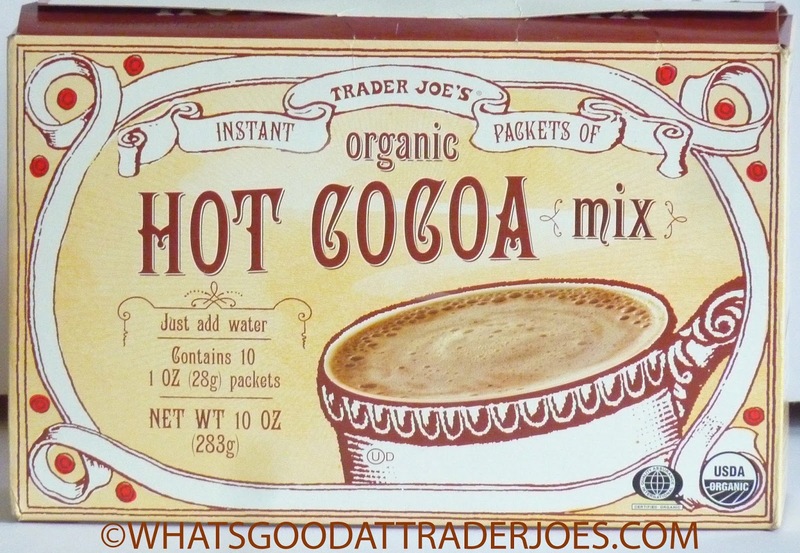 They went great with the hot chocolate we looked at recently. They're simply awesome with some butter and jelly, or even just butter. And honestly, both Sonia and I were fine just snagging these little guys out of the bag and eating them by themselves like cookies. Three dollars for eight rolls. This could be a repeat buy. Sonia says she could eat the whole bag in one sitting. She'll throw out her first perfect five star score in a long time. I genuinely liked them too, but perhaps I'm not quite as enthused because I'm waiting for a bread that's optimized for dunking in energy drinks. Just kidding. That would be gross. But for all you coffee connoisseurs out there, meet your new best breakfast friend. Four stars from me. Come on now, sing it with me! "Roll out the barrels, we'll have a barrel of fun...."
Wait, you're not singing. What's the matter? Not awake enough and need more coffee? Or not "loose" enough and need a stiff drink? Well, why not have both? Here's a fresh mug of Trader Joe's Bourbon Barrel Aged Coffee. Of course, this new TJ's boozy barrel inspired brew is non-alcoholic...but man, is that tough to tell from all appearances. Most bourbonic products are plagued by a decided subtlety that leaves hardly a trace of Kentucky's finest contribution to man this side of George Clooney and Louisville sluggers. But, not here. No, not at all. The beans themselves weren't overly aromatic in a boozy way, but once Sandy and I had our steaming cups...whoa. I'd be scared to make this at work for fear of being called down to HR. One wrong waft sent awry and someone would report it, it's that strong. This coffee's discombobulating. I swear, it plays mind tricks with me. I taste booze, my mind senses it and tells my body I must be drinking booze, even though I'm not...thereby helping negate any positive lift I may get from drinking my coffee. I need my coffee for caffeine, dang it. At least there's not a decaf version as of yet. That'd be really pointless. 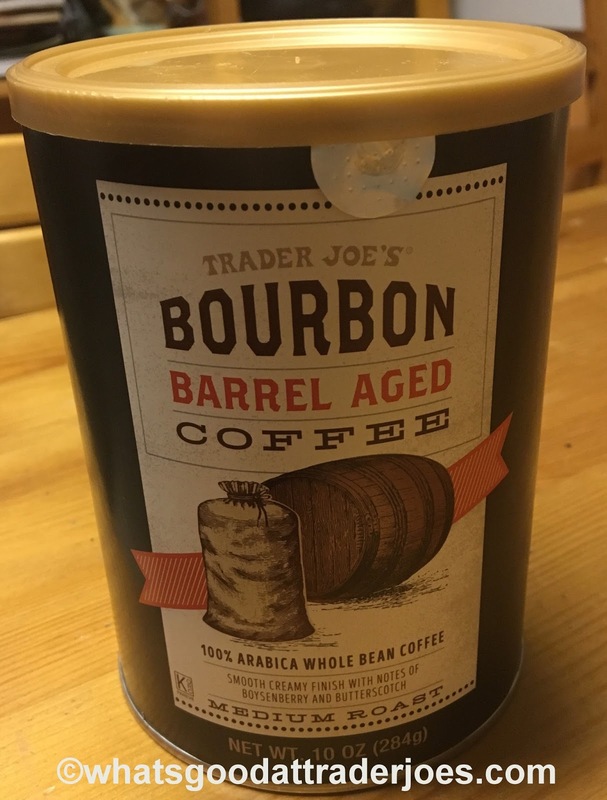 Bourbon inspired coffee without either alcohol or caffeine? Pass! There's a whole write up on the side about how it's a two-year aging process with careful bean rotation to ensure each bean comes in contact with the bourbon barrels...sounds a bit OCD and overboard, but hey, the process worked. I cannot imagine a coffee tasting any more like bourbon, or bourbon tasting any more like coffee. It's a weird, imperfect marriage. Sandy and I had high hopes, and while not completely crashed, we're both down on the bourbon coffee at this time. There's some potential if we mix some regular coffee beans in, we'll have a more pleasant experience. Also, instead of a morning cup, this has more of an afternoon/after dinner kinda feel to it. More mellow. Made poor Sandy feel a little ill afterwards, though she did say she'd be willing to try again. Anyways, not an awful speculative buy at $10 for the canister, which is mid-range for TJ's prices. If you don't like it, you can always return, no problem. We are considering it but want to experiment first. Any suggestions, please share. Until then, we're going with some low marks here. So I'm doing an experiment: I'm going to see how late into the fall/winter I can go while only wearing shorts and t-shirts, while still only turning the heat on sporadically. I'm thinking hot beverages are going to play heavily into my strategy of staying warm without extra layers. Also hats. It's amazing how much difference a good hat can make—especially for follicly-challenged folks like me. As any TJ's fan worth their Hawaiian shirt knows by now, cauliflower can do a lot of stuff. The real question is, can cauliflower do stuffing? Well, guess we're gonna find out with Trader Joe's Riced Cauliflower Stuffing. There's a lot to like about the concept here. Gluten free, vegan, no carbs for all you cave people out there. That's not an insult, I dabble with the Paleo diet here and there. But, when November rolls around, with Thanksgiving on the horizon, there's something to be said for good ol' traditional stuffing, whatever that means to you and your memories. And there's something just a little amiss here with the TJ's cauli-stuffin'. It's hard to pin down completely what it is, but both Sandy and I noticed it. Our best guess is, the stuff doesn't taste or feel like stuffing. It's...almost more like a pilaf. The cauliflower rice never loses its inherent ricey-ness and feels grainy, not soft and warm and inviting like stuffing. That being said, there's a lot to like. 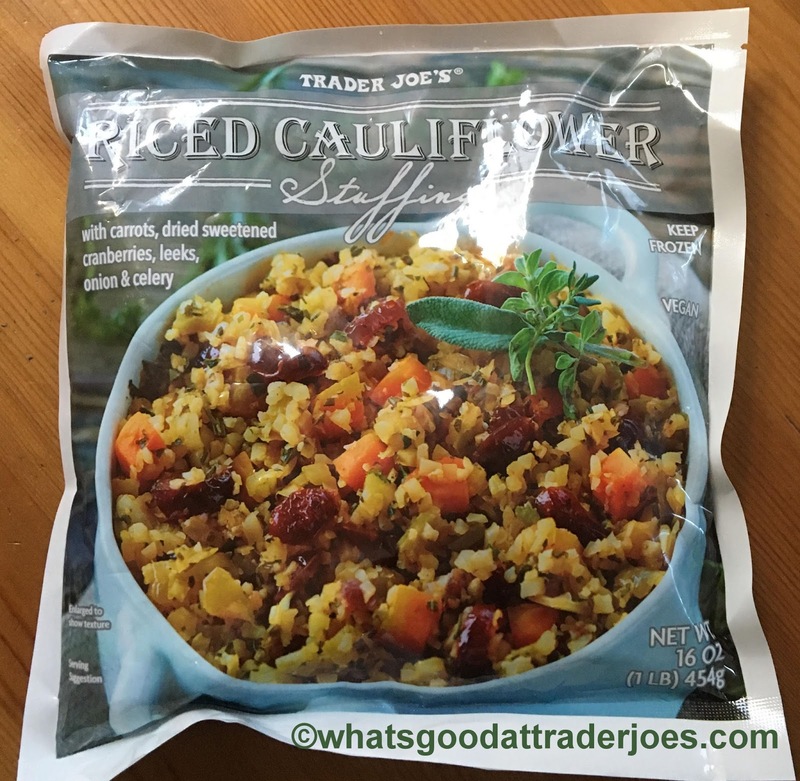 The product really tries hard to replicate traditional stuffing tastewise, and it almost pulls it off. The carrots, celery, and onion are on point, and there's copious handfuls of tart dried cranberries that make an excellent little touch - better than raisins or apples. Still, it's off...and again I point to the cauliflower. Perhaps cauliflower has a "cleaner" taste than most bread, so all the flavors that are normally somewhat tempered poke through just a wee bit more. That seemed most noticeable with the onions. 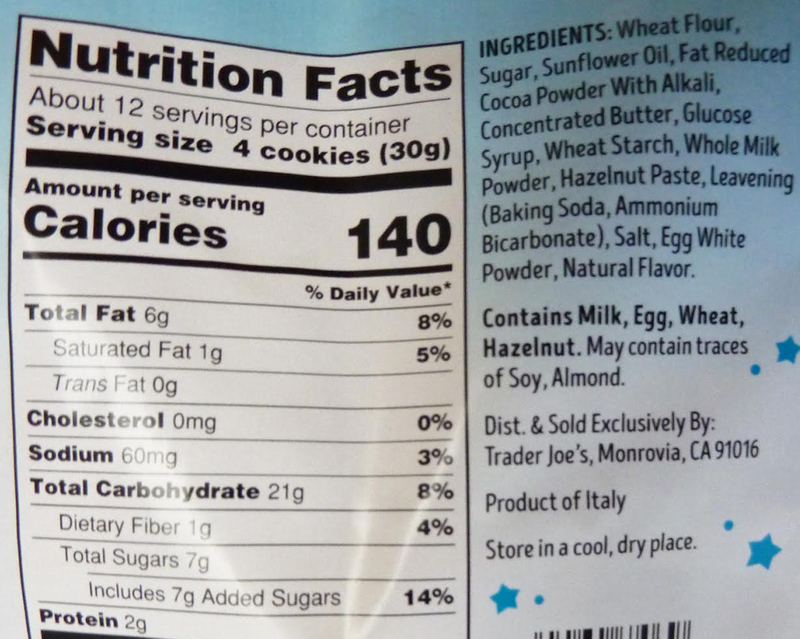 Also, look at the ingredient list and some unusual suspects. Tomato paste? Maple syrup? Never seen those in a stuffing recipe before. And they're not particularly noticeable, per se, but maybe they knock the flavor just off kilter enough. This stuffing's decent enough, though. 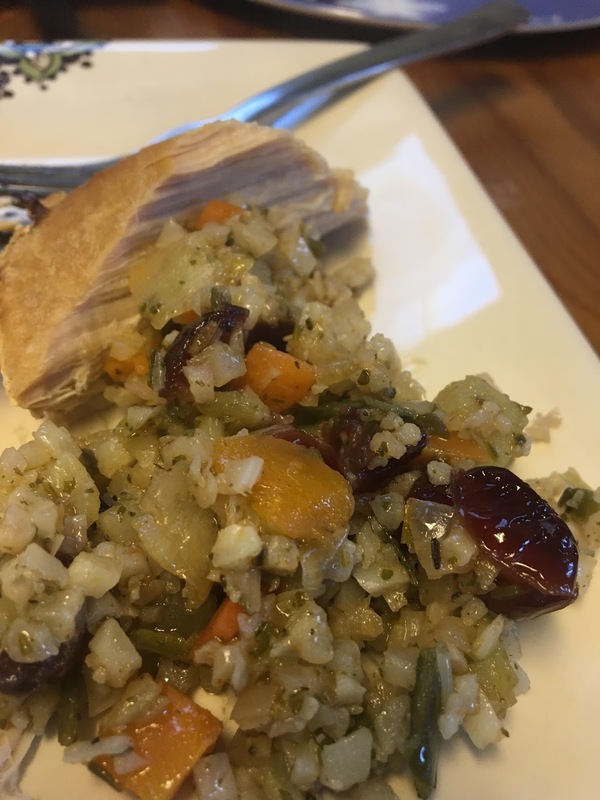 If you want an alternative to the usual salty carb bomb that is traditional stuffing, by all means, go for it. No denying it's healthier and more nutritious and all that - I mean, it's all veggies - and it's almost as good as the "real deal." But there's too much comfort vibe missing here. I think that's what it comes down to. It's only a few bucks in the freezer section, if you're lucky enough to find it - been a hot seller from what I hear - so I'd love to hear some more takes if you've tried it. But for me and Sandy, we just can't muster much enthusiasm.